Singer Florence Welch of Florence and the Machine was an easy win for last night’s 53rd Annual Grammy Awards red carpet best dressed. She was effortlessly chic in a gown from Givenchy Spring 2011 couture. And it wasn’t just the dress, but they way she wore it – with relaxed hair, minimal accessories, and most of all an attitude of possession. More favorites from the Givenchy collection below (click for larger views). Florence wasn’t the only one to wear Givenchy couture for the event. Nicki Minaj also donned the legendary French label, though apparently she chose a look from a few years ago – from the Fall 2007, according to Redcarpet-fashionawards.com. 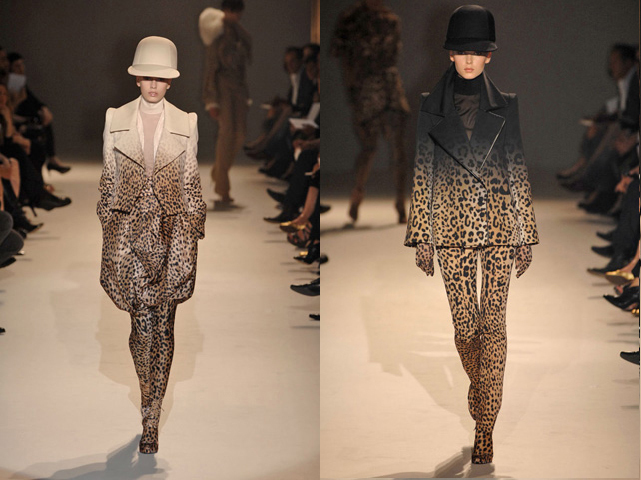 Ricardo Tischi was definitely leading the pack for the coming leopard print explosion with this one. Rihanna and Nicole Kidman both chose Jean Paul Gaultier Spring 2011 couture. Both ladies chose designs with sheer fabric and rows of ruffles. The also opted to tone down the JPG drama and let the dress be the focal point. 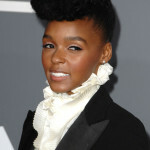 See more fashion from the 2011 Grammy Awards at BeatStylist.com.